This new information crystallizes a legitimate concern held by many area residents – that artificial water fluoridation may have unintended and irreversible health consequences. Windsor City Councillors voted to resume artificial water fluoridation without the benefit of this disturbing news of March 14. This information was sent on March 18th to the council members of Windsor, Tecumseh and LaSalle and it is now incumbent on them to contemplate the potential health risks to which area residents may be exposed. 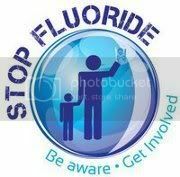 Should we resume artificial water fluoridation when such startling information has not been fully explored, AND alternate means of promoting good oral health are known, proven and available? This entry was posted on March 24, 2019, 3:32 pm and is filed under Uncategorized. You can follow any responses to this entry through RSS 2.0. You can leave a response, or trackback from your own site.